My own comment: the closer one is to the divine, the more set apart one is. However, there are passages in the OT which tell how Uzzah was killed for coming into contact with the Ark, and yet the above passage refers to Exodus 29:37, which is detailing the procedure for making sacrifices upon the brazen altar, which seems to be a part of the Ark (I’m not sure if they’re two separate objects from my initial reading of the text. I’m in a hurry.) So what gives? You can touch the altar and be made holy, but touch the Ark and get zapped? My own thought: the Ark is so concentrated, so loaded with God’s power, presence, and holiness, that touching it would be akin to touching a damaged electrical cable, which shocks you. Uzzah, as far as we can tell from the text, had no ill intentions – he wanted to keep the Ark from falling to the ground. Bam. Dead. So perhaps that’s just a consequence of coming into full physical contact with such an amazingly concentrated amount of God’s holiness. This post originated as a Facebook comment. There’s obviously lots to flesh out, tighten up, and correct and plenty to debate, but here’s my summary of justification. Historically, its as factual as factual can be that Torah, in 2nd temple Judaism (all of Judaism, but specifically here), was not seen as a bad thing or a burden or something which was a kind of impossible standard one had to keep in order to go to heaven, and it still isn’t within Judaism. On factual, historical grounds, that’s pretty much beyond dispute. Calvin was right on when he saw the Law not as an entrance requirement but rather as something given to the redeemed people. Alright, so what’s the point of Torah? It was not primarily, as commonly supposed, a way for people to recognize their own moral failings, as if it were a kind of Kantian moral imperative which hangs over all men, and that once the failure to meet this standard was recognized, the Gospel could then be preached. That was not the point though, though Torah did expose one’s failings and did serve to kill sin by imprisoning it. But here’s the thing: in Judaism, when you messed up, you made atonement and moved on. People mess up and don’t keep Torah perfectly, because we’re sinners. Okay. Make atonement, square yourself away and get back in step. So if Torah isn’t primarily something that exists to show that it can’t be met, what is it? Here, modern scholarship is pretty much in accord in saying that Torah was not what one did to get into the people of God but what one did which showed that one was in the people of God. It was, in the days before Jesus, an ethnic marker of sorts. Torah belonged to the people of God, and the people of God kept Torah. One can disagree with the theological/dogmatic implications, but that is, again, pretty much an established fact. The problem, however, is in that second to last sentence. Israel were called to be a light to the nations, to bring salvation to the world. People were to look at Israel and go, ‘What a people! What a God!’ But, as Scripture drives home, this was not the case. Sin worked through Torah, turning the heart upon itself, and what was supposed to the charter for the people of God, what was supposed to be the distinctive thing about the people of God, ended up being used to keep people *out* of the people of God. The promise of Abraham is being killed by the curse of Adam. The rest, as they say, is history, up until an incident in Antioch, when the ethnic problems come to a head. Paul says to the Judaizers, no. You’ve missed the point. The second you begin to do with Torah what Christ had done, which is to redefine the people of God around faith instead of adherence to Torah, you’re right back where we started, keeping people who aren’t ethnic enough out. That is something Paul won’t stand for. That is the fundamental issue – Torah cannot be used as a means to define the people of God anymore, because now the people of God are defined as those who, by faith, both their faith in Christ and the faithfulness of Christ, are in Christ. Jesus defined adherence to Torah not as rigorous obedience and boasting but as loving God and loving your neighbor – and this, Paul declares, is true Torah. This – faith and love – are what defines the people of God. Paul says, look, keeping Torah is fine, if you want to do it. But if it becomes something that separates people at the table, then you’re right back where we started, and you’re going to have Torah staring you down. ‘The other unique characteristic of John’s preaching was his insistence that in the coming judgment the privilege of belonging to the chosen people would count for nothing: “Do not presume to say to yourselves, ‘We have Abraham as our father’; for I tell you God is able from these stones to raise up children to Abraham” (Matt. 3:9, Luke 3:9). In effect, John excommunicated the whole nation and received back such as would repent and be baptized.’ (Bruce Metzger, ‘The New testament, it’s Background Growth and Content’, pp. 109-110). Wright is well known for the thesis ethnic boasting and exclusivity was a major problem for the apostolic church, and it would seem here that John the Baptist provides a bit of evidence to bolster that thesis. Part of John’s problem (it appears) was that people were resting content in the fact that they belonged to the ethnic family of Abraham, and so were safe on judgment day, to which John gives his spirited reply. Wright’s more well-known criticism is of a flat way of thinking about the relationship between God the Father, the Holy Spirit and Jesus – Jesus, so the claim goes, didn’t simply strut around declaring Himself to be the second person of the trinity in a take it or leave it way. Such categories (at least in the flat and often reductionist forms, which is more often than not what Wright spends his time attacking) weren’t really part of the NT frame of thought – the Jewish categories listed in the second quote were. Wright’s point, if I’m reading him right, is that the Church, without really noticing it, started to think of Jesus and God in more reductionist terms since the 17th/18th century (and in more subtle ways, since the early fathers) – i.e., deism and the like, and that such a move would have been prevented had the Church stayed anchored in the Jewish modes of thought in the early church. The Church needs to break out of the enlightenment/post enlightenment way of thinking and return to the early modes of thought of the NT. I think one of the underlying questions is whether or not non-biblical ideas (say, some secular philosophical ideas) have any place in theology. I think Wright’s claim has some substantial force – if one looks at the post-apostolic church, there is a lack of the Jewish story of Israel as the grounding of the language of theology. Not a total lack – but I don’t think one can really claim that the early fathers had the narrative of Israel at the forefront of their thought, and in a sense, that’s okay. Their problems were of a totally different type – philosophical attacks on Christianity had to be answered, and answered in form that meant something to the attackers. Simply referring to the narrative of Israel doesn’t do a whole lot if your opponent is a Stoic, or Cynic, or Platonist. But, if I may be so bold as to speculate, the problem seems to have come when the concepts used in a given scenario to answer a given objection actually started to become the actual reality. I may not be right in that claim, but as I see things that seems to be about the case. These are broad statements – and I’m definitely not saying anything along the lines of ‘Christianity was fine until that cursed (platonic, stoic, deistic, etc) came along and ruined it! I have no problem with a Christian metaphysic, and I think it’s impossible to not have a metaphysic. I think lots of the ideas of (say) the early apologists were great – for example, early logos-theology (Justin Martyr and co). I suppose my own position would be sympathetic towards Wright’s criticism – but not without my own criticism of Wright. I have a nagging feeling that I’m missing a key concept here, though. 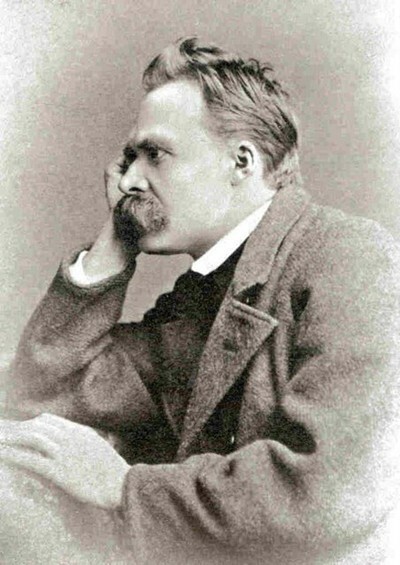 One has to wonder who takes the dimmer view of humanity – Isaiah or Nietzche.